For the past three years, Eva has clung to the remnants of her life. Only Addie knows she′s still there, trapped inside their body. Then one day, they discover there may be a way for Eva to move again. 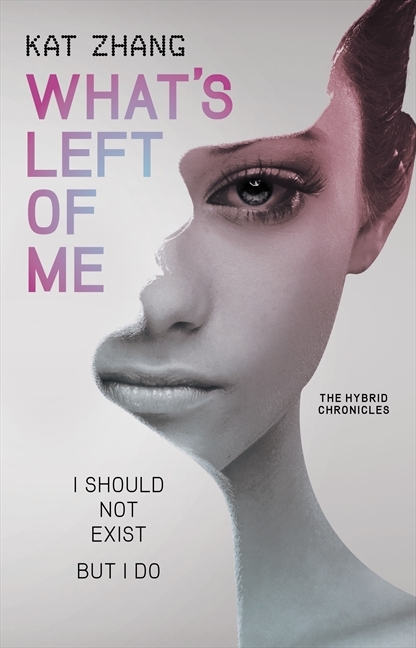 The risks are unimaginable-hybrids are considered a threat to society, so if they are caught, Addie and Eva will be locked away with the others. And yet, for a chance to smile, to twirl, to speak, Eva will do anything. Here's another book that questions what makes us, 'us'. In this book, all people are born with two souls. For the first few years of life, these souls live 'literally' side by side within the same body. each will have it's own unique characteristics, families will interact with each soul as if they were a different person. Over the years, one soul becomes the dominant one, and the less dominant soul disappears, this is called 'settling'. It’s not mentioned when this book is set. It could be the future, or it could just be an alternative version of present day. We know it’s set in The Americas, a place where Hybrids (those with two souls) are not welcome. For those people who haven’t ‘settled’, if someone finds out, you will be taken away from your family and institutionalised. Eva and Addie meet a brother and sister who also have two souls, and promise to teach Eva how to regain some control, so she can talk out loud and be able to move her body. When these backyard experiments become noticed by officials, all 3 teens are transferred to the Nornand Clinic of Psychiatric Health, were they will be fixed. What they find there is that no one is ‘fixed’, they are basically being used as lab rats, so the scientists can find a way to destroy the less dominant soul. Needless to say, the plan is to escape. The only problem is that the hospital is more like a prison that a hospital, so they will need to find help on the outside. Not only is there discrimination against Hybrids in this book, there is also discrimination against people with dark skin and those who at one point migrated to the Americas. The Americas in this book is very proud of its pure blood line, and there is no more immigration into the country. The rest of the world is seen as dangerous and less advanced, but towards the end of the book we find out that this is just what the government wants everyone to think. It is the first of a new series, and hopefully we will start to see the wider world and the bigger picture in the next book, because I have a feeling things aren’t quite what they seem.